“I always share with my students that I felt I was not prepared for NCLEX. I was the first cohort who completed the computerized NCLEX, and I did not have exposure to computerized testing to increase my confidence,” said Kinney, now academic success specialist at Chamberlain College of Nursing, headquartered in St. Louis. She has been a registered nurse since 1994, and a nursing educator since 2000. “I was intimidated by the unknown – not knowing what to expect at the testing center, not knowing how many items I would complete, and not having a clear understanding of test –taking strategies,” she says. So, she and other nursing experts want NCLEX candidates to be better prepared and less jittery by giving some guidance and advice. 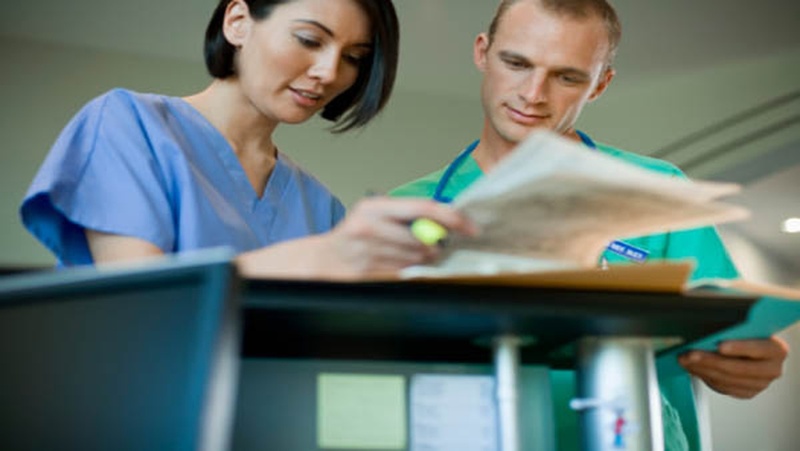 Understanding what the NCLEX is all about is the first step. Prior to taking NCLEX, the individual will be a student or candidate rather than a nurse, Kinney says. 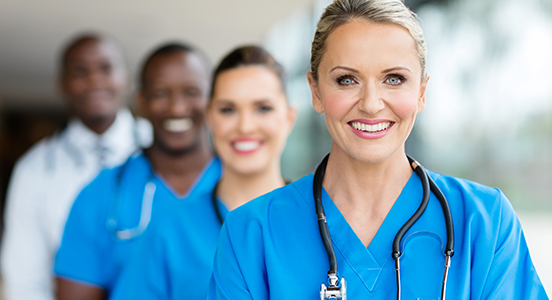 Each state’s Board of Nursing may have varying requirements, which must be met by the candidate. ◉ Apply for licensure/registration with one board of nursing (BONs)/regulatory body (RBs). ◉ Register and pay the exam fee to Pearson VUE via the Internet or telephone. ◉ Receive Acknowledgement of Receipt of Registration from Pearson VUE by email. ◉ BON/RB makes you eligible in the Pearson VUE system. ◉ Receive Authorization to Test (ATT) through an email from Pearson VUE. You must test within the validity dates (an average of 90 days) on the ATT. There are no extensions. ◉ Schedule your exam appointment via the Internet or by telephone. ◉ Arrive for the exam appointment and present your acceptable identification. ◉ Receive your official results from your BON/RB up to six weeks after your exam (this time period varies amongst BONs/RBs). “Get to know anything and everything you can about the exam and testing environment so you can go into the NCLEX-RN with confidence,” Kinney says. Where is the testing center located? How long does it take to get there? Where do you park? Do a dry run so that you’re ready to go on test day. Understand the ID requirements and procedures so that you won’t get flustered right before the exam. Practice under the same conditions that you’ll be facing on the big day. When you’re preparing for the NCLEX, you should also be sure to mimic exam conditions. That’s when getting to know all the rules and regulations comes in handy. ◉ Get yourself a whiteboard, and get used to working out your answers on it. Don’t let yourself get in the habit of erasing your notes, however, because you won’t be allowed to do so during the exam. ◉ Practice NCLEX-RN-style questions in all of the different formats that might come your way – multiple response, ordered response, fill-in-the-blank and more. Use books if you want, but make sure you also practice some questions on the computer, since that’s how you’ll be taking the exam. ◉ No matter how much it helps you concentrate, don’t practice while chewing gum and listening to music – after all, both gum and headphones are prohibited. Training too hard in any sport can result in injuries, which can affect your performance. The same holds true with preparing for the NCLEX. Balance your study time with other activities. “Eat right, get enough sleep and stay positive – you can do this,” Kinney states. Develop a success plan and stick to it! Kinney admits that taking the test was one of the most challenging things she has ever experienced in my life. “There are several things I wish I would have done differently. I wish I would have started my preparation for NCLEX on day one of admission to the nursing program,” she states. Nicole Williams, nursing content manager for examinations at the NCSBN, says that each NCLEX candidate should become familiar with all the free and publicly available resources on NCSBN.org or NCLEX.com websites. These sites include such things as test plans, candidate bulletin, NCLEX using CAT video, a tutorial and frequently asked questions. They always talk about knowledge being power. The more knowledge you have about the NCLEX, the better off you will be and the calmer you will be to do great on the test. You’ve trained hard, you’ve studied hard and now you can triumph in the last step of being a nurse.